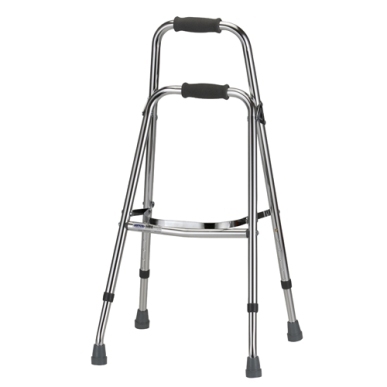 This Nova folding side walker has a lightweight aluminum frame and folds to 4 in width for easy transport and storage. It features bi-level hand grips and folding height adjustable from 32-36in. Approximate user height of 5'4 - 6'1, and weight capacity 250lbs. The tip size for this walker is 10018.